Book a Taster session here with Gillian and Mark your PGA Coaches at St Margaret’s Golf and Country Club and see what you think. It’s free, you will meet lots of other women starting their golf journey, you will have lots of FUN so you’ve got nothing to lose and everything to gain. Book a Taster session here with Gillian and Mark your PGA Coaches at St Margaret’s Golf & Country Club. It’s free. Women’s Beginners Golf Program. It’s scheduled to start the week after our Taster session, we would love to have you. GOLF. THAT'S A GAME FOR MIDDLE AGED MEN IN PLAID TROUSERS, RIGHT ? Wrong. Golf is a great game for everyone. It’s fun, gets you fit, reduces stress and offers full lungs of fresh air. 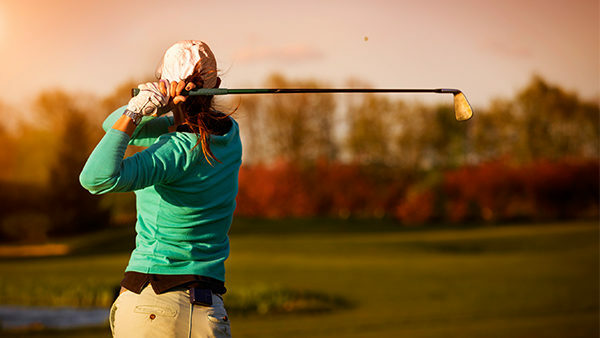 A round of golf can take you away from the hassles of everyday life and focus your mind. And it’s great for having a laugh with friends and making new ones. The famous 19th hole is a place to enjoy a drink, discuss your game and meet your future playing partners. ARE THERE MANY LADY GOLFERS IN IRELAND? Sure, it’s challenging but with a little bit of practice you’ll soon be hitting those balls with ease and really enjoying the game. We will take you from the range to the course and everywhere in between to help you. Anyone can do it. Golf is about enjoying yourself so wear something that’s comfy, warm and ready to do some exercise. Trainers are fine and a water proof jacket is sensible if there is some rain about. WHAT HAPPENED AFTER THE TASTER EVENING? If you have enjoyed our Taster Session at St Margaret’s (and we think you will!) you will probably want to find out about our 6 week Get into Golf (link) coaching programme. It’s scheduled to start the week after our Taster session so if you think it’s your cup of tea, we would love to have you.